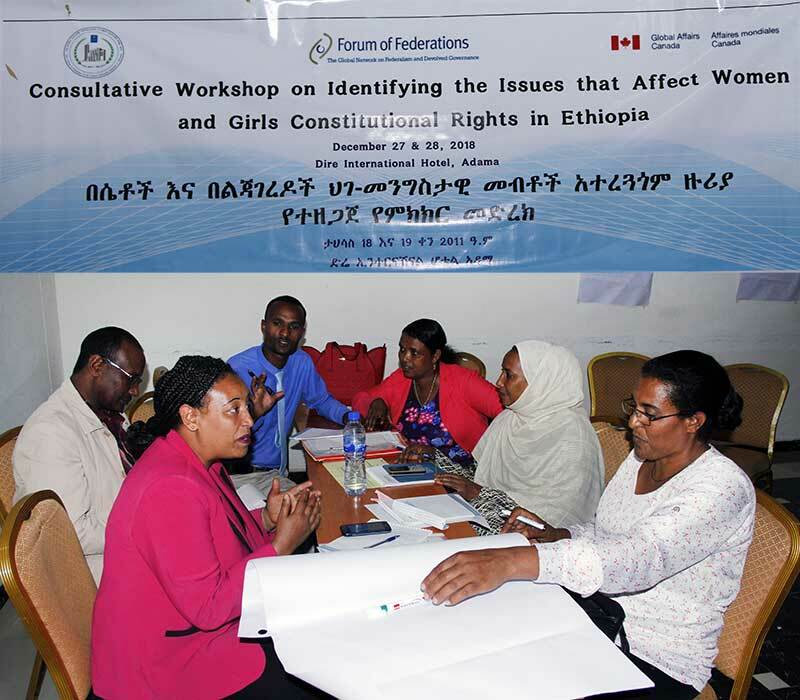 On December 27 and 28, 2018, the Forum of Federations, in collaboration with the House of Federation and Council of Constitutional Inquiry, Ethiopia, held a two-day workshop on issues that affect women and girl’s constitutional rights in Adama, Ethiopia. 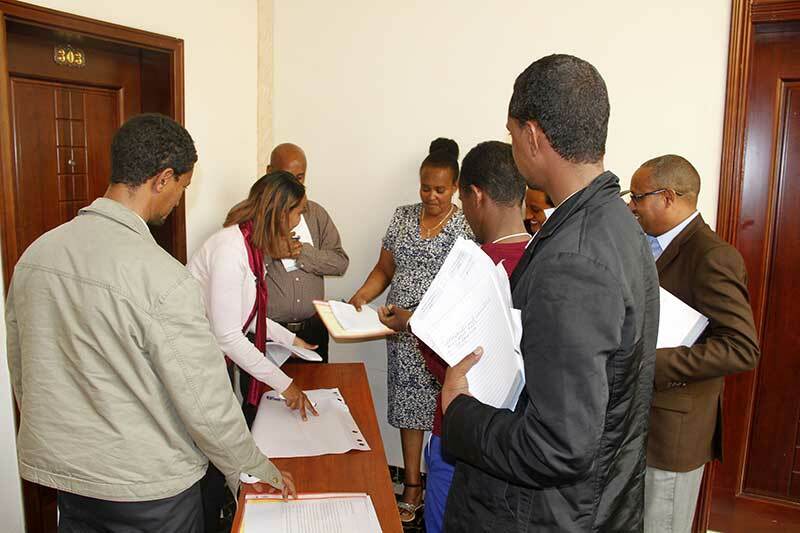 The workshop was conducted as part of the Forum’s Ethiopia program “Strengthening Federal Governance and Pluralism in Ethiopia” that is financially supported by Global Affairs of Canada. The objective of the workshop was to identify priority rights issues related to barriers to rights and proper recourse mechanisms. The event brought together 44 participants (18 female) drawn from major federal and regional governments actors such as House of Federations, Secretariat Council of Council Inquiry, Supreme Court, Attorney General, Ministry of Women Affairs, women’s groups such as NEWA, EWLA etc. The workshop was opened with the welcome remarks of Mr. Mohmmed Reshid, Deputy Speaker of the House federation. 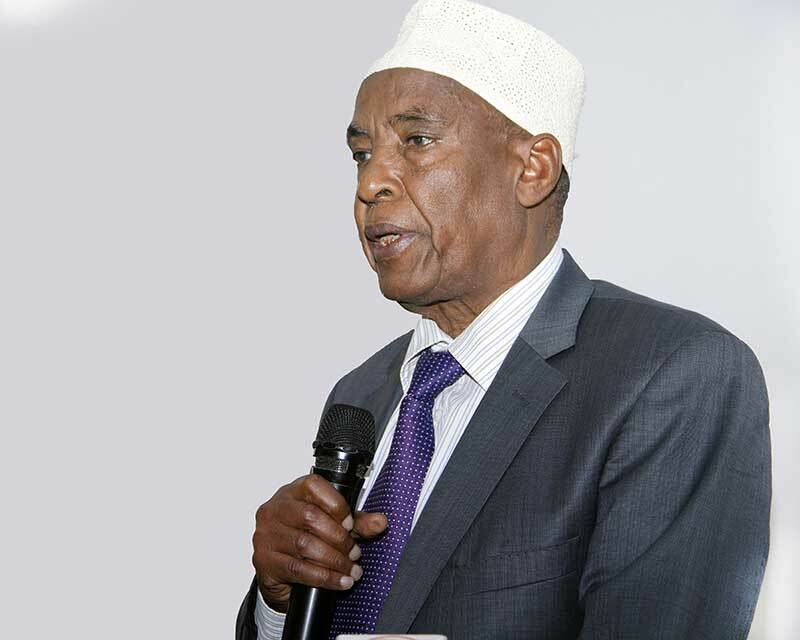 He outlined the work of the HoF, CCI and praised the work of Forum of Federations and called for the need to strengthening constitutional interpretation both at federal and regional level which allows women and girls to exercise their right in a democratic federal governance system. 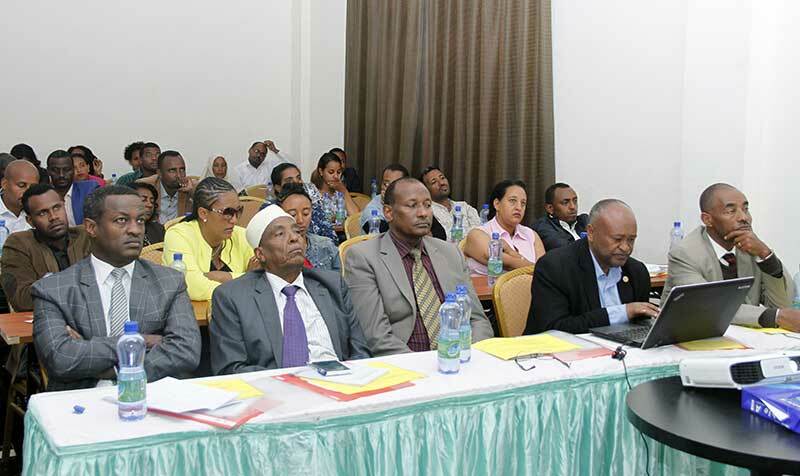 On the first day, Mr. Desalegn Weyassa, Secretary of the council of constitutional inquiry, presented the concepts, structures and procedure of the Ethiopian constitutional interpretation, followed by international experiences. The presentation on international experience highlighted the various models of constitutional interpretation. Generally, his presentation clarified important conceptual issues and practices of constitutional interpretation and represented a great opportunity to create a common understanding of basic concepts among the diverse participants. The second session was facilitated by, Mr Worku Adamu. This session was aimed at systematically review of constitutional interpretation decisions made by the House of Federation. Four cases were presented and discussed in groups. This was followed by a Q & A session and group presentation. The group discussants recognized the need to strengthen/enhance constitutional interpretation system in Ethiopia. The gaps they observed from the four cases includes: Some of the Cases themselves should not be brought to the House of federation; lack of accountability of Judges; weak capacity in the judicial system; and there are cases that are not coming to house of federations among others. •	Unequal treatment of women before law. The workshop key finding will be presented to decision makers and three priority areas will be identified for further study. The study which will be conducted in near future is expected to address these issues.